Dimensions 1 by 8.75 by 11.25 in. As new and emerging technologies continue to become more familiar to educators and the education system, the vast opportunities for web-based learning has transformed the ideals of the traditional classroom. 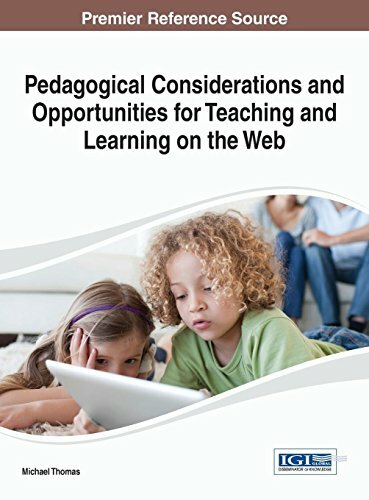 Pedagogical Considerations and Opportunities for Teaching and Learning on the Web concentrates on theory, application, and the development of web-based technologies for teaching and learning and its influence on the education system. This book would be of particular interest to academics, professionals, and researchers interested in the best practices of virtual learning environments. About: As new and emerging technologies continue to become more familiar to educators and the education system, the vast opportunities for web-based learning has transformed the ideals of the traditional classroom.